After taking quite a long thrifting break during the "Artic Blast" and the Holidays, I have made a small effort to get back on the thrifting trail. I hit my usual spots a few times these past couple weeks and while I haven't found any super awesome things, I have enjoyed my time out and found some small stuff. Here's some pictures what what I have been buying lately. 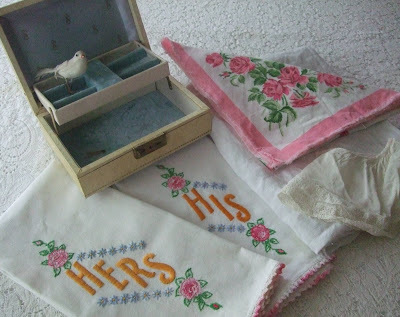 That birdy and jewelry box got in the picture twice. 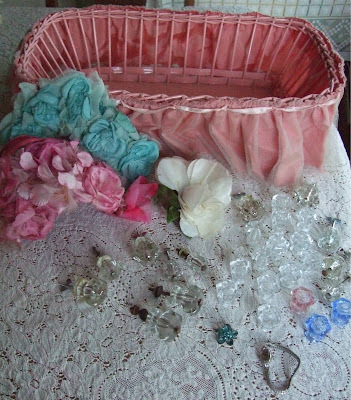 The little doll slip pictured above has a new purpose which I will show you in an upcoming post. 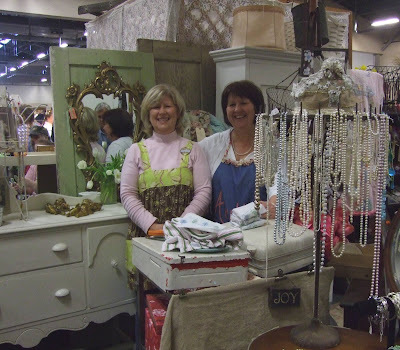 Last week I went thrifting with my friend Mitzi,( aka, finder of vintage shopping carts), and we had a great time. We started at the Goodwill Outlet and from there, hit several more Goodwill stores and even stopped at Hippo Hardware. It had been years since I've visited that fun store and I wish I had been smart enough to snap some pictures, but of course I was too busy oohing and ahhing to remember to take some. Unfortunately, at the last Goodwill we went to that day, I had the unlucky surprise of a parking ticket on my car when we got back. It was totally my fault, but I swear we were only in there like 15 minutes. A couple days later Mitzi stopped by with this. I had mentioned that I have been looking for broken jewelry for a project I will be working on and I was tickled that she had these for me. 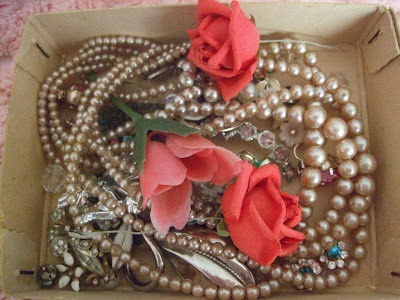 The pearls alone would have been enough, but all the little tidbits were great too. Again, I really do have the best friends. 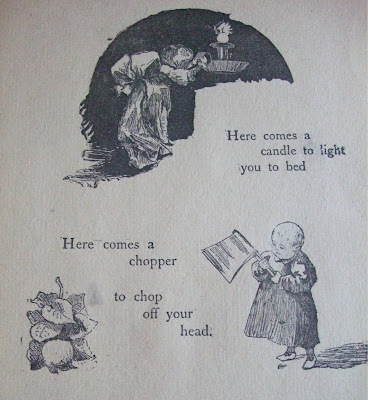 They sure don't publish nursery rhymes like this anymore. 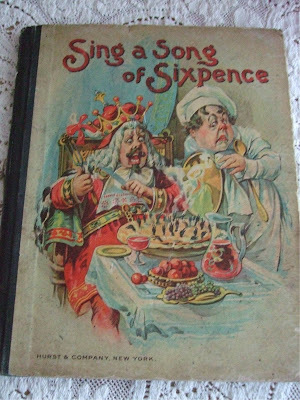 Do you think the poor kids who had these books had nightmares? 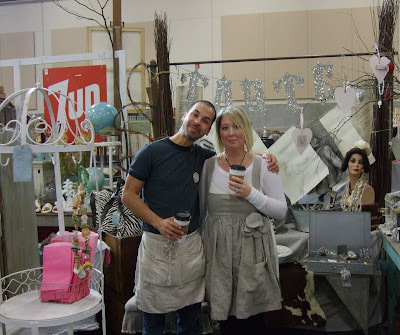 Yesterday, Isabel and I decided at the last minute that we would check out the Clark County Antique Expo. More than anything we wanted to see our friends and just get out of the house for a bit. So were Joy and her sister, Terri. Isabel took a bunch more pictures than I did so you can see more pics of the antique show if you go here. I was thrilled to find a dealer selling glass knobs, both old and reproduction for $1.00 each. I bought a bunch so I should be all set for all of my furniture makeover plans. The flower hats I got from Cindy and the cute basket with ruffle came from Joy. I got the cute aqua rhinestone pin and millinery rose from our friend Susan. (I forgot to take a picture of her awesome booth, but Isabel got some.) And finally, another silver watch to add to my already huge collection. Seriously, how many vintage watches does one girl need. Don't answer that. So, that's it for now. The hubby is finally going back to work today after having almost a month off. Kids have today off so I'll just be hanging out with them trying to get some house work done. Such fun! WOW! Fun stuff! You and Isabel always find the best stuff! Thanks for sharing your adventures with us. Looks like some awesome finds. Wish I could have gone to the Clark County show. But my crutches wouldnt allow it. I can NEVER find the locker baskets...arrrghghh. Lucky girl!!! Your thrifting day sounds like fun fun fun! I can't think of a better type of day! Wow! You guys found a pretty good haul! Enchantant, mon cher. As ever!!! What great finds, lucky you! cant wait to see what you do with them =D have a great week. Great finds! 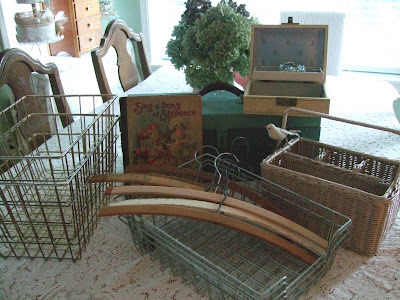 I think I saw those pictures of the antique show on someone else's blog??? Looks like a fun time! I'd be getting tickets left and right if I knew I'd get a haul like that each time!